Recent events have led me to a greater appreciation for mindful living. Last week my husband and I celebrated our 16th wedding anniversary with a long weekend in Burlington, VT. The timing of the trip couldn’t have been better. I was feeling down – experiencing sympathy depression for three separate friends in the throes of family tragedies. The passing of time and the cycle of life were never more apparent. 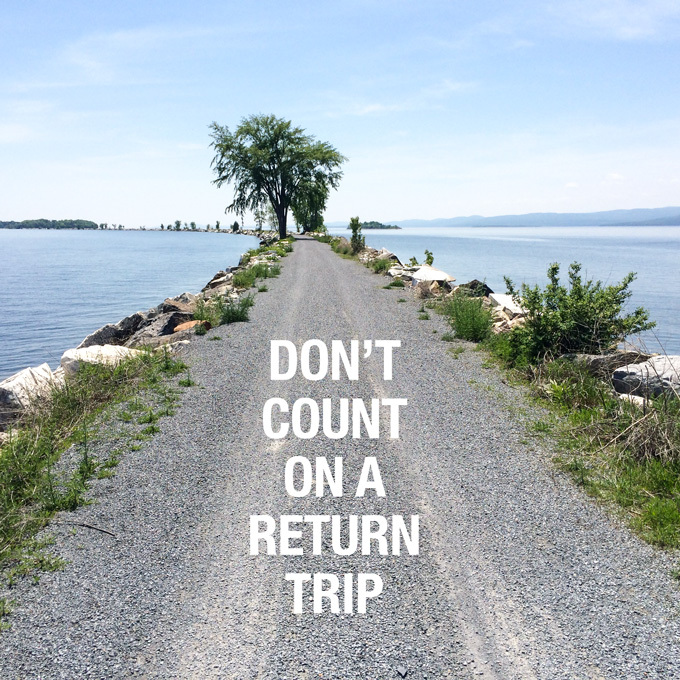 Biking along Lake Champlain was both restorative and served as a perfect metaphor for mindful living. Whenever a detail along the path caught my attention, I promised myself I’d take a closer look on the return trip and kept pedaling. Then I realized we often go through life the same way: focused on goals, milestones or worries instead of simply experiencing the here and now. Once we turned our bikes around, I became cognizant of the warm sun on my arms, the crunch of gravel under the bike tires and the cool breeze buffeting our advance. We moved at a slower pace, stopping to admire rocks, trees and waterfowl or to simply gaze at the expanse of water and distant mountains. We seem to think we can live this life once to get a sense of the big picture and then go back and do it again to appreciate the details. However, unlike a lovely bike ride, in life we can’t count on a return trip. While this blog’s primary focus is healthy eating, we also have to remember to nourish our body and soul in other ways. I touched on this idea in my Exercise for Mind Body and Spirit post in April as well as with the article link I shared in the last Veggie Primer Weekly Update. Mindful living can have a positive impact on both our physical and emotional health. We would experience less regret and stress in our lives if we simply learned to be present. Let’s be honest. None of us really know what the next hour holds; let alone the next day, month or year. A flat tire could have ended our bike ride prematurely – it was presumptuous of me to assume I’d have time to enjoy the trail after we reached our destination. Yet, it’s also good I didn’t waste time worrying about a flat tire. Would worrying prevent it from happening? While it’s good to be prepared for bumps along the road (my husband made sure we had everything we needed to fix a flat), there is no benefit in dwelling on bad things that could happen. Try to look around more often than you look forward or backward. Zenhabits.net shares a wonderful article on how to appreciate where you are at any given time – whether it be good, bad or ugly. The author/news anchor shares a pragmatic approach to meditation – based on his unlikely personal experience. I enjoyed his self-deprecating humor. While I have yet to master the ability to meditate for a period of time, reading this book helped me realize that meditation isn’t so much about clearing one’s mind as it is about tuning into the present. In other words, meditation is about being mindful. At first the subject of this book appears to be more about the past and future. However, investigating possible answers to this age-old question brings lightness to the present. I find myself appreciating moments – even difficult moments – of this journey we call life because I have a greater sense that the journey does not end.